Working with metal can be dangerous. Just ask any metalworker who has ended up with a floater in their eye or a knuckle chewed up by a coarse grit abrasive belt. 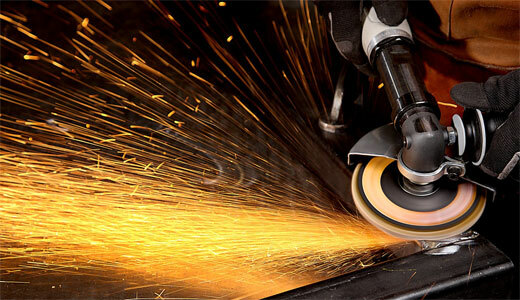 Metalworkers can protect themselves from sparks and swarf with PIP safety equipment. 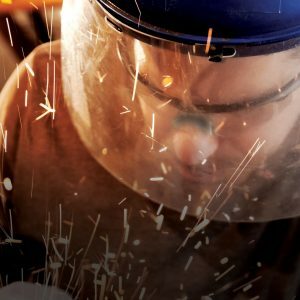 For metalworkers and machinists of metals and other materials, Steiner offers a large selection of personal protective equipment (PPE) from Protective Industrial Products, better known as PIP, that can help protect the head, face and hands from this swarf. Grinding, chiseling, sanding, drilling, sawing, welding and undertaking other machining processes produce metal shards and chips that can fly in unexpected ways and in any unexpected directions. According to OSHA, an estimated 9 out of 10 occupational related eye injuries could be avoided through the use of proper safety equipment. PIP headgear provides crown protection and can utilize various face shields. Shown here is a clear PETG, universal fit safety visor. 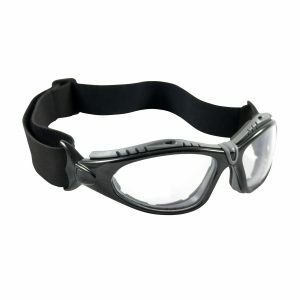 For the face and head, a combination of safety glasses and face shields protect the eyes and face from flying particles, hot sparks, liquid chemicals and vapors. PIP headgear for face shields provides crown protection, especially in grinding applications and can be fitted with PIP Bouton® Optical face shields. These protective visors provide clear, crisp and distortion-free visibility. Impact resistance and protection from projectiles and splashing liquids. 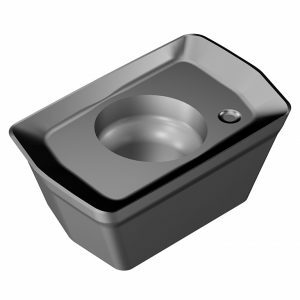 They can withstand extreme hot and cold temperatures in heavy-duty applications. They can be worn with standard headgear or fitted to a hard hat. PIP’s Recon safety glasses are rimless and feature anti-scratch and FogLess® 3Sixty™ coating. Face shields and PIP Bouton® Optical safety glasses can be used in combination to protect the face from hot sparks in grinding, chiseling, welding and other applications. 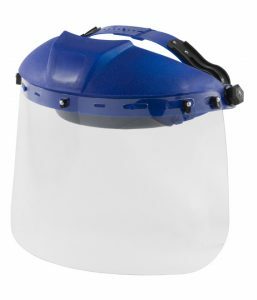 In some cases, it is recommended that they be used in concert such as to protect the worker from chemical, fine mist or even molten metal splash. According to OSHA, safety eye wear should be worn as the primary eye protection against impact from flying fragments, objects, large chips, and particles created during grinding, sawing, drilling, fastening, and sanding applications. PIP’s eyewear products, which meet UL and CSA requirements, are available in almost 50 distinctive shapes of safety eyewear for the right fit and have numerous features geared for the application. Models include the Recon rimless safety glasses with a gloss black temple and gray lens, and the Recon rimless safety glasses with clear temple and clear lens. 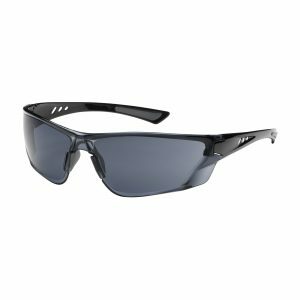 Also available are the Fuselage full-frame safety glasses with black frame and soft padding, that come in either gray lens or clear lens. Features of Bouton Optical safety eyewear include: anti-scratch and anti-fog coatings for indoor and outdoor applications; multiple lens color options for specific industrial applications, lighting conditions and work environments; and soft foam padding that forms a comfortable seal to keep out dust and airborne particles. 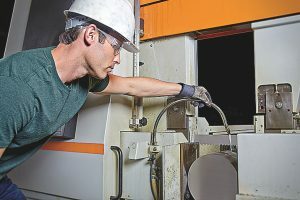 PIP offers safety glasses that can also alleviate the problem of fogging, which is a dangerous, and irritating, problem familiar to most metalworkers. Lenses fog for many reasons, all of which are related to ambient temperature and moisture in the air. When a rapid temperature change occurs, moisture in the air collects on untreated lenses, causing the lenses to fog and impede vision. To solve this problem, many Bouton optical glasses from PIP are available with Fogless® 3Sixty™ Technology. These include the Fuselage and Recon models. This will prevent fog when transitioning between warm and cool environments, working in a humid or wet environment, combining eye protection with respiratory equipment, or just sweating from hard work. 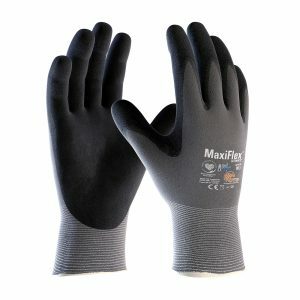 The MaxiFlex features a Micro-foam grip that provides good grip and resists abrasion. Cuts to the skin from metal shavings and other swarf are another common injury endured by mostly anyone that has machined metal. Some people are also susceptible to allergies caused by the resin-impregnated fiberglass on abrasive disks used in grinding operations. PIP gloves provide protection from sparks and fragments of disk and waste metal thrown out by the disk. They also protect your hands from general wear and tear, i.e. minor cuts, scuffs, abrasions and potential allergies. Some metalworkers believe that gloves can affect the “feel” they have for the bevel and reduces their ability to grab hardware and tools or utilize touch screens on controllers. PIP has those problems covered as well. PIP offers a large range of sizes from small to double extra-large for a great fit, which is important when working around rotating equipment. The gloves offer a range of features. 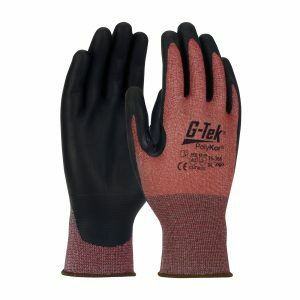 They are high-cut, puncture and abrasion resistance; they are resistant to chemicals, water and ultraviolet light; provide superior grip in wet and dry conditions; are touchscreen compatible, and feature knit wrist to prevent dirt and debris from entering the gloves. Glove brands include the Maxiflex® Ultimate™,which is a seamless knit nylon/Lycra glove that features Nitrile coated Micro-Foam Grip – Ad-Apt™ Technology that keeps hands drier and cleaner. The Nitrile coating provides good grip and abrasion resistance. PIP’s G-Tek® Polykor® X7™ glove is a seamless knit Polykor® X7™ blended glove with Neofoam® coated palm and fingers and is touchscreen compatible. The PolyKor blended shell with X7 technology offers high-cut resistance and the knit wrist style keeps out dirt and debris from the glove. The Ambi-Dex Grippaz Skins have a textured fish scale grip for extra traction with wet and oily parts. 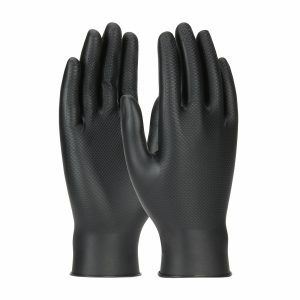 The Ambi-Dex® Grippaz™ Skins is an ambidextrous Nitrile glove with textured fish scale grip (6 Mil) that provides extra traction with oily or wet parts, and has a rotated thumb grip for secure precision grip of small parts. So, choose from a selection of gloves that are designed to protect your hands from harsh metalworking operations, and give you a good grip, no matter the application and don’t forget to protect your head and face with PPE from PIP. Schneider’s Square D Safety switches are vital components to safety and power control. They are a means to disconnect from the electrical load and provide protection to the branch circuit. When necessary, they can be used to disconnect manufacturing equipment, heavy machinery and light commercial and residential applications from its power source. Users may need to disconnect equipment from its electrical supply for a variety of reasons from scheduled preventive maintenance to emergency stoppage. The performance of safety switches is important to the safe operation of many industrial applications. In addition, requirements from a variety of organizations have increased the use of safety switches in many commercial and industrial facilities. In addition, safety switches are an NEC requirement in industrial and manufacturing facilities. For instance, a safety switch must be in sight from all motors or manufacturing equipment and not more than 50 feet from the equipment it controls. A key performance benefit of the Schneider safety switch is its ability to break load. A locked motor can draw six to eight times motor full-load current. In an emergency situation, it’s important to have a safety switch with enhanced load-break features such as those featured in Schneider’s switches. 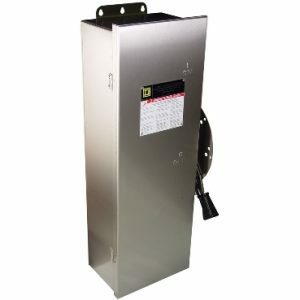 A key element of Square D safety switches is its blade and jaw construction that has been designed to manage heavy motor loads and arc interruptions. Multiple types of disconnect switches are available, and the switch that work for you depends on a number of factors in your working environment. Steiner’s expertise can help make the appropriate choice. 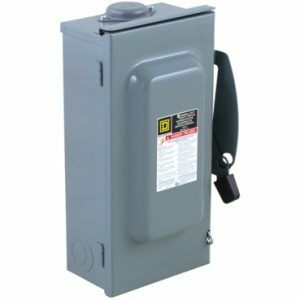 Steiner stocks a large inventory of safety switches ready for pickup at one of our convenient locations or on-time delivery to your facility or job site, including: general duty, heavy duty and double throw switches in single and multiple pole, fusible and non-fusible. Here is a look at some of the most common safety switches. One of the most go-to safety switches are those that are considered General Duty (GD) safety switches. These are designed for residential and commercial applications and where durability and economy are prime considerations. Typical loads are lighting, air conditioning, and appliances. 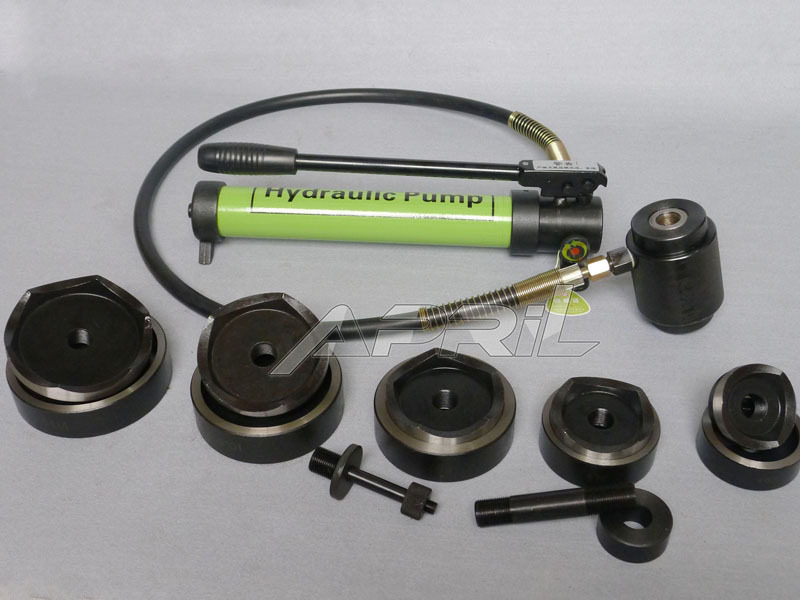 They are suitable for use as service equipment when equipped with a factory or field-installed neutral assembly or a field-installed service grounding kit as applicable. Visible blade heavy duty safety switches are designed for applications where maximum performance and continuity of service are required. All heavy duty safety switches feature a quick-make, quick-break operating mechanism, a dual-cover interlock and a color-coded indicator handle. Double throw safety switches are designed for manual transfer of one load between two power sources. 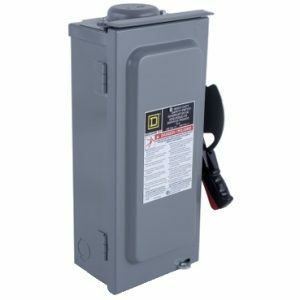 The units are tough and reliable to provide emergency back-up power connections in accordance with Article 702 of the National Electrical Code, ANSI/NFPA 70. These safety-switch options, and others that are more specific in application, come with multiple options such as various difference in amperage and voltage. In some cases, the question is whether to use fusible or non-fusible switches. Fusible safety switches combine fuses with the switch in a single enclosure. For both fusible and non-fusible safety switches, when the circuit is open, the safety switch disconnects the load from its source of power, while closing the circuit reconnects the load. The Safety Switch EZ Selector can guide you to the most appropriate safety switch for your required application. With all the product variables from application to enclosure type, voltage to amperage applications, selecting the appropriate safety switch can be a challenge. Schneider Electric has made the process simpler by developing the EZ Selector system. The EZ Selector tools ask simple “click-to-answer questions,” and the user is self-guided through a process that ultimately leads to the right product for the application. Order online or call 1-800-STEINER (783-4637) to speak with a Steiner sales representative for more information on Schneider Square D Safety Switches. Are you worried about unplanned machine downtime? Not getting the life expectancy from your band saw blades that you hoped for? Can’t sleep because operator mistakes got you worried about excessive scrap, unnecessary post-production work, employee injuries? If you are, and at least one survey suggests that you might be, then LENOX, an industry leading band saw blade producer, could have some answers for you. And, you don’t have to find room in your budget for a consultant. The analysis is free. 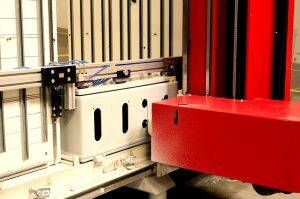 LENOX application specialists will analyze production to improve band saw performance and ROI. LENOX experts will conduct a free Site Survey that documents all aspects of a sawing operation. The detailed study extends beyond blade usage, however, and includes analyzing processes that may diminish inefficiencies or add cost to bandsaw operations. When completed, the company will receive a clear written report with recommendations covering products, processes, and personnel. Projected cost savings are identified based on agreed to metrics that can be measured and monitored. They will identify and confirm facility goals, metrics and key challenges. They will observe and record sawing performance, machine conditions and operator practices. The site survey includes a 13-point audit of band saw operations focusing on the most important parameters. For instance, as part of the machine diagnostics and assessment portion of the survey, a LENOX application specialist will undertake a 13-point assessment with emphasis on critical sawing parameters such as band speed, band tension, band alignment, feed rate, feed pressure, and fluid ratio. Additionally, the LENOX application specialists will engage with your staff in an attempt to determine and elevate skill levels. If needed, they can develop a customized training program that may include comprehensive safety training, sawing optimization techniques and trouble-shooting fundamentals as well as new employee training through to advanced operator and preventative maintenance training. In the end, the application specialists will provide an assessment of your baseline operations, root cause analysis of problems and inefficiencies, and the actions planned to address those issues. The report will contain detailed recommendations to improve productivity, increase throughput and lower total costs. Sign up today to get your Complimentary Comprehensive Site Survey from LENOX. or call 1-800-323-TOOL (8665) for more information. In an increasingly automated world, manufacturing control panels can be a production bottleneck, a time consuming and costly manual process. But that doesn’t have to be the case. 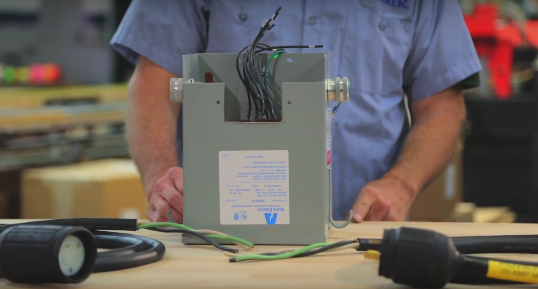 Steiner can help you take the chore out of modifying your electrical enclosures, and let you get back to helping your customers and doing the contracting work that actually makes you money. 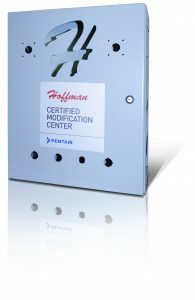 Whether you need modified one-off panels or require complex modifications to vital enclosures or subpanels, let Steiner automate the process with its Hoffman Certified Modification Center, aka the ModCenter293. Utilizing our available production capacity, broad range of capabilities, and experienced technicians, we can help you slash your production costs and lead times. Our engineered solutions can help you design and select the right electrical protection solution for your application. The ModCenter293 take the manual labor out of enclosure modification projects. Manufacturing control panels is traditionally a labor-intensive process with a lot of steps: drilling and tapping, milling and mark up. A typical enclosure might require marking each hole and cutout location, drilling pilot holes and expanding those holes with larger bits, and using a jig saw to do the final cut out. Then, of course, there is the post-processing work: the deburring, filing sharp edges, performing general clean-up work. Those are just a few of the potential manual processes that might be required. After all that, you might still find holes off centered or threads misaligned. All-and-all, not a fast, precise or repeatable solution. Considering that a 36-in. by 48-in. electrical enclosure could have 40 to 50 holes and cutouts and a back panel could have as many as 200 holes with taps, the ability to accurately and expeditiously customize enclosures is vital. Especially at a time when customers are demanding shorter build times, and accuracy and quality requirements are increasing. The ModCenter293 features software that integrates seamlessly with CAD DXF files and other file formats to push jobs forward. 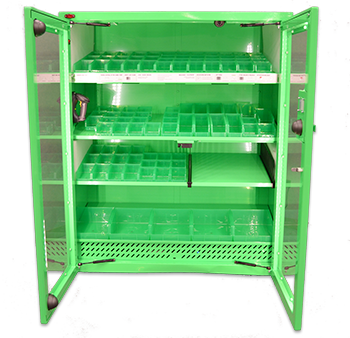 The CNC unit handles enclosures up to 93.7 in. by 86 in. and back panels up to 93 in. by 94 in. It can process a variety of materials including mild steel, stainless steel, aluminum, copper and PVC, polycarbonate, amd glass-reinforced plastic (GRP). It features smooth, low-vibration movement of the cutting head, which is precision ball-screw spindle driven. 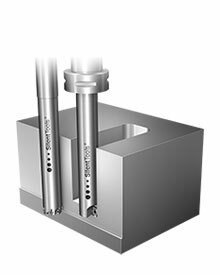 Minimizing vibration helps extend tool life, but more important to our customers is that it processes materials fast and accurately. 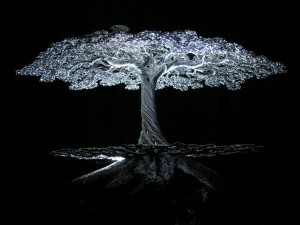 For instance, it can process up to 78 in. per minute (2000mm/min) in mild steel. Automatic tool changer that holds up to 21 tools. 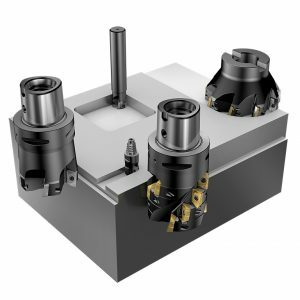 An automated tool changer with a magazine that holds up to 21 tools to perform all necessary drilling, milling, tapping, circular milling – all the processing steps required for enclosure modifications. As an authorized Hoffman Distributor, Steiner offers the largest inventory of Hoffman enclosures in Northern Illinois. And these enclosures can be modified to specific requirements. In fact, by combining standard enclosures with available modifications, thousands of unique enclosures are possible. This enclosure example shows a variety of holes and cutouts possible with the ModCenter293. Hoffman enclosures are UL-certified to comply with all relevant specifications including UL, CSA, NEMA, CE, and IEG classifications. Some models are UL explosion-, chemical- and corrosion-proof, and some are IP-rated to prevent dust and water ingress. Our factory trained Hoffman Enclosure Specialist, Bret Bevers, can assist you with product and technical application information, training, research, design and special quotation for your enclosure needs. Stainless steel can be appropriate for food and beverage projects, and special coatings can be applied to the stainless steel to prevent corrosion. A corrosive environment might require special coatings to protect the enclosure from dangerous and corrosive gases or harsh liquids. So, come and get modified enclosures without the hassle of measuring, drilling, cutting or any of the other tedious operations that are required. Steiner’s Mod Shop and Assembly offers original equipment manufacturers kitting, sub-assembly and product modification. Together, these services provide cost savings, convenience and increases in operational efficiency. The Steiner Mod Shop provides services and modifications for several types of products, including Scaffolding Transformers, Power Cables and Modified Enclosures. Kitting provides cost reductions during the order and shipping process. It offers the benefit of preassembling several individual items into one kit that is ready-to-ship. This affords greater efficiency over picking and packing each individual item as the order is received. OEMs use MRP systems, which make parts management easier. In order to reduce processing times through kitting, it is essential for the OEM to ensure the correct parts are available for assembly. A Sub-assembly is a collection of parts put together separately but designed to be incorporated with other units. They are used in the making of a larger assembly or final product. Steiner’s Mod Shop offers a way of removing labor-intensive processes that can delay production. Steiner’s mod shop allows businesses to streamline the production process, reduce ordering costs and simplify the supply process. This provides the benefits of a reduction in labor hours and storage space required for inventory components. The process begins with a phone call – and together, Steiner and each customer collaborate to identify the opportunity for a cost-effective solution. Every solution is a customized approach delivered to the customer based on their individual needs. In one instance, Steiner worked with a customer whose workflow required the continual reordering of 10 individual parts. Through the help of the mod shop, the customer can now order a single customized kit, providing a more streamlined process that improves operating efficiencies. Modified products are made for each customer – meaning they are all custom-fit for each application and company – and because of this, customers are confident they are getting exactly what they need when ordering. For instance, companies that provide scaffolding rely on Steiner to provide the power solutions to operate their scaffolding through custom power cord assemblies and transformers. In other applications, customers count on Steiner for custom modifications of safety switches. Production managers, material managers and purchasing managers are just some of those that have been able to reduce processing costs and improve operational efficiencies from Steiner’s mod shop services. Industries that have used and benefited from Steiner’s modification items include package equipment manufacturers, suspended access manufacturers, and food packaging manufacturers. Find out more about Steiner’s Mod Shop and Assembly by calling 1-800-STEINER (783-4637). The innovations coming to the manufacturing world may not be brand new, but for many machine shops these evolutionary innovations, such as OEE (Operational Equipment Effectiveness) are still in the early adopter stage. “Lean Six Sigma” is one of the newer buzzwords being more frequently mentioned. The concept has been around for many years and its principles shared under a multitude of titles. For instance, this methodology has been called JIT, TQM (Total Quality Maintenance) and Kaizen to name a few. Regardless of the vernacular used, overall, the meaning is the same. All of these terms describe the Standardization of processes and procedures to increase efficiency and bring more IFO (Income From Operations) to the company bottom line. In other words, what these programs can offer, is the ability to measure the effectiveness of a procedure, and evaluate any waste from Time, Inventory, Motion, Waiting, Over production, Over processing, Defects, and Skills. These concepts have been around for a while but quite frankly not implemented effectively in many organizations outside of the enterprise level. Major corporations such as Toyota, Motorola, Ford, Chrysler and others in the Automotive, Medical, and Aerospace sectors have utilized these initiatives as a source of greater profit and efficiency for decades. It is now imperative for smaller and medium sized organizations to also adopt these strategies due to the competitive nature and flattening of the global economy. The idea of eliminating waste is not just a mindset for employees themselves to generate optimal efficiency, but it’s an ideology that crosses over to machines as well. It is beneficial for machines to be monitored, to ensure they are running correctly and producing efficiently. The evolution of software and hardware that interfaces with machine tools whether they be CNC or Manual PLC based machinery has started gaining heavy traction in the manufacturing industry. Measuring efficiency and capacity in real-time so reactive measures can be deployed quickly is the goal all organizations are trying to achieve in order to increase overall profitability. Getting rid of Muda (Wastefulness) needs to be the goal moving forward for smaller to medium shops. Waste creates constraints leading to profit losses, poor delivery, poor quality, and lower machine efficiency. Smaller companies have less cash flow to absorb these inefficiencies thus making it crucial to have the data to manage constraints in real-time. Data Driven Manufacturing is another new buzzword that is an important concept to consider. Look at the sports world and all the analytics that are now used to determine how managers and coaches react to situational events in a game. Watch the movie “Money Ball” – the sports industry laughed and scoffed at Billy Bean who was the pioneer in using analytics to build a baseball team. The team the movie was based on, however, achieved one of the longest winning streaks ever in Major League Baseball. Fast forward to today and making data driven decisions is a practice used by most organizations. Using that same philosophy in manufacturing by capturing data in real-time to optimize efficiency and productivity can have a profound impact on increasing IFO. 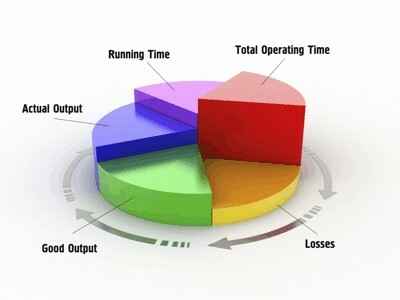 OEE (Operational Equipment Effectiveness) is a Six Sigma Concept that is gaining traction in the industrial industry and one of the most important pieces of data that can be mined to affect IFO. OEE is made up of measuring three key components: Availability, Performance, and Quality. An overall OEE score of 85% is considered world class. When initially installing its software to measure these three components in real-time at customer facilities Steiner has found most machines are under optimized and operating in the 30-40% range. 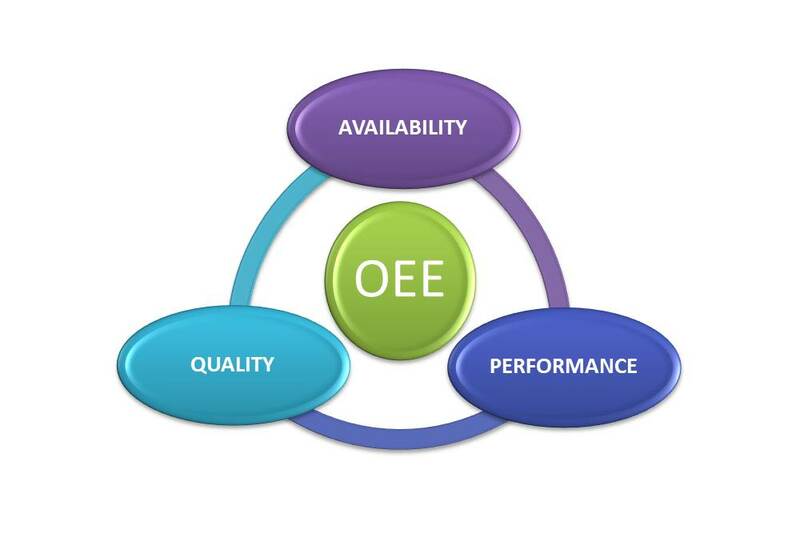 Availability, Quality & Performance, the key components of OEE. 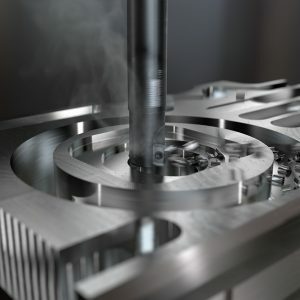 Now thinking about that a little more deeply, if a machine tool – which is the money maker in all manufacturing facilities – is only utilizing 35% of actual capacity available, then it is not running on all cylinders. 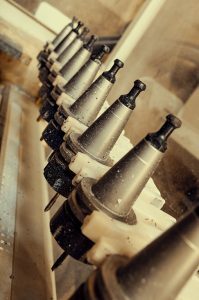 Before purchasing a new machine tool, manufacturers should ensure existing equipment is being utilized at its maximum output capacity, thereby potentially avoiding the need to make a large capital investment. Steiner deploys a software solution that has solved this operational inefficiency problem for all machines in the industry, whether it be new CNC or older legacy CNC equipment. The software solution can also extract this vital data from Stamping Equipment, Injection Molding Equipment, Screw Machine Equipment, and many other computerized and manually operated machines in the metal working industry. Steiner currently has installs optimizing many of these types of machines and can bring the technology to any manufacturing organization. Steiner application consultants can provide education and insights on the technology to help manufacturers better understand this innovative new data driven reporting. For more information about the software solution, please email or call 847-956-3125 to speak with a seasoned Steiner application expert. The Wisconsin Manufacturing and Technology Show is coming to Milwaukee from October 6-8, 2015. Since 1989, this 3-day conference has been the Midwest’s premier machine tool show, where the industry gathers to showcase the latest innovations in manufacturing and industrial metalworking. Featured events sprinkled over the length of the conference offer insights on various aspects of the industry strategies for incorporating 3D printing in both established and upcoming manufacturing environments. Visit us during the conference at booth #0538 to see our new CribTrack industrial vending machine. This amazing yet simple tool tracking and storage system offers unprecedented security and efficiency in one cost-effective, easily maintained system. Inventory tracking and distribution of the items needed for workers to complete their daily assignments has never been easier. CribTrack offers cameras for security, cameras that record every transaction and can be accessed from anywhere through a simple web-based interface. That kind of accountability will ensure reduced supply shrinkage. And because CribTrack has no motors or other moving parts to wear out, its energy efficient design is built for dependable, long-lasting service. While you are at our CribTrack booth, don’t forget to spin the prize wheel for a chance to win a fun gift – including a shot at The Huffy Green Machine! Steiner Electric representatives will also be stationed at booth #0135, where we will be on hand to exhibit how our Metalworking and Industrial Supply services can help reduce operating costs and maximize output efficiencies. Stop by to explore how we support the entire machine tool process. Our approach integrates the industry’s leading manufacturers and top products, which helps enable maximum productivity for our clients through process improvements and cost reductions. You’ll also find Castrol representatives at the booth with us to discuss the latest in industrial lubrication technology, and you can meet our friends from Memex, who will be offering demonstrations on Operating Equipment Effectiveness. We look forward to seeing you this week at the Wisconsin Expo Center in Milwaukee’s State Fair Park. 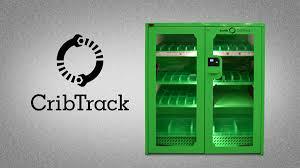 If you can’t make it, contact us for more information about our CribTrack industrial vending machine, including pricing and availability. 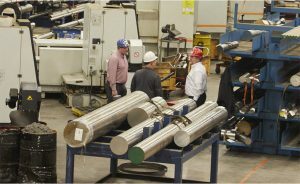 Or find us at steinersupply.com in order to see how we can help with all of your industrial metalworking and supply needs. 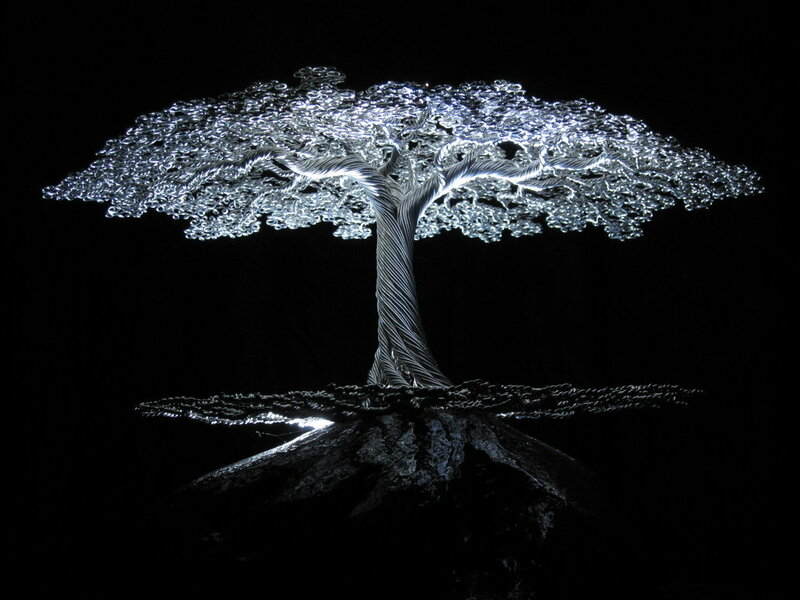 Artistic metalworking has come a long way since the late Neolithic era. Today’s artists benefit not only from a mountain of past culture and experience, but also from continuing advances in technology and unprecedented access to materials. From basic crafts that groups of children can do to mind-boggling industrial projects that require teams of architects and engineers to envision and years of labor to complete, the practice of metalworking has become intrinsic to societies across the modernized world. The work of individual sculptors likewise continues to impress. 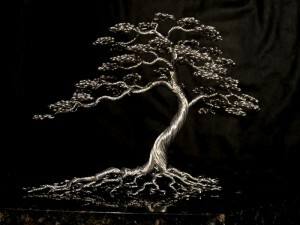 For millennia, individual artists have created phenomenal works of art out of various types of metal. Museums overflow with collections made from gold, silver, bronze, and steel. But advances in steel manufacturing have resulted in a significantly weather-resistant medium, which is embraced by English artist Robin Wight. 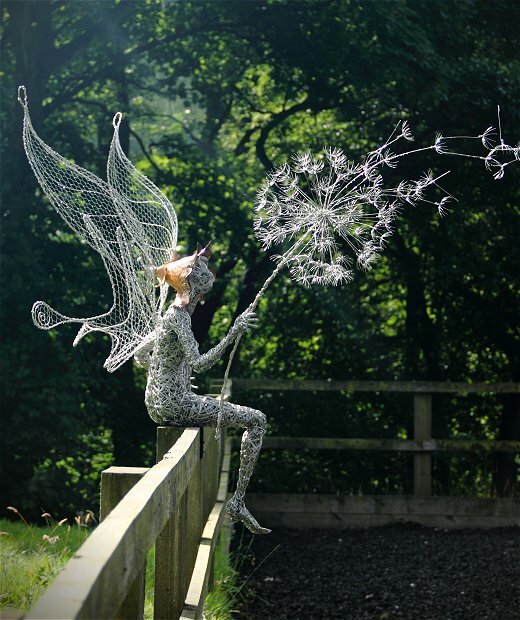 Take a look at his amazing sculptures, which he painstakingly forms using galvanized and stainless steel wire. 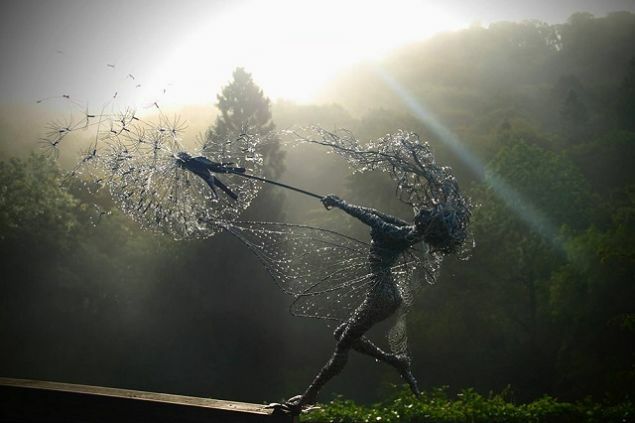 The wire’s workability, coupled with the artist’s practiced hand, results in the sensual fluidity of the various fairy poses, as well as the illusory sense of motion as the wind seems to rip through the dandelion seeds. 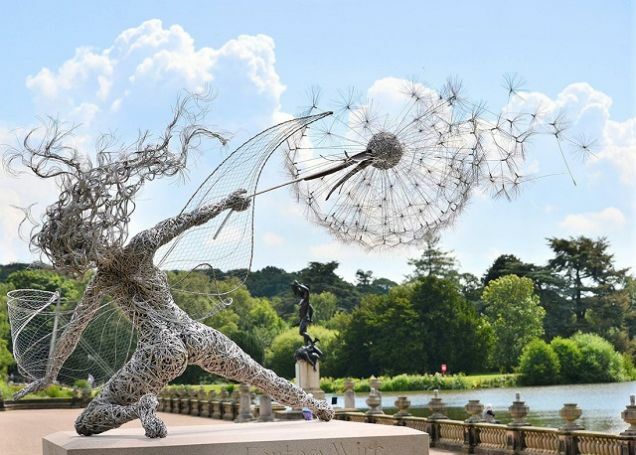 Much of Wight’s sculptures have been commissioned for the gardens at the Trentham Estate in the United Kingdom, where you can view more of his work. Of course, metal only truly becomes fluid at very high temperatures. 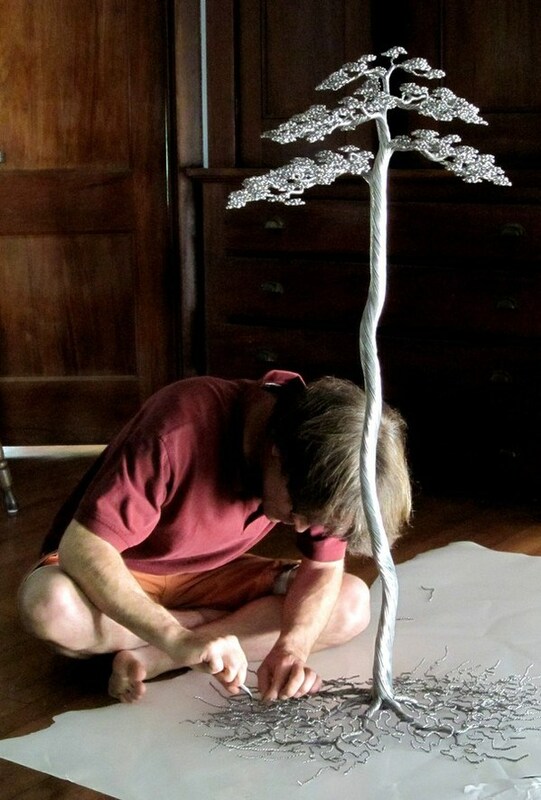 That is why it makes an excellent medium for these stalwart yet elegant tree sculptures, also crafted from wire from American artist Kevin Iris. 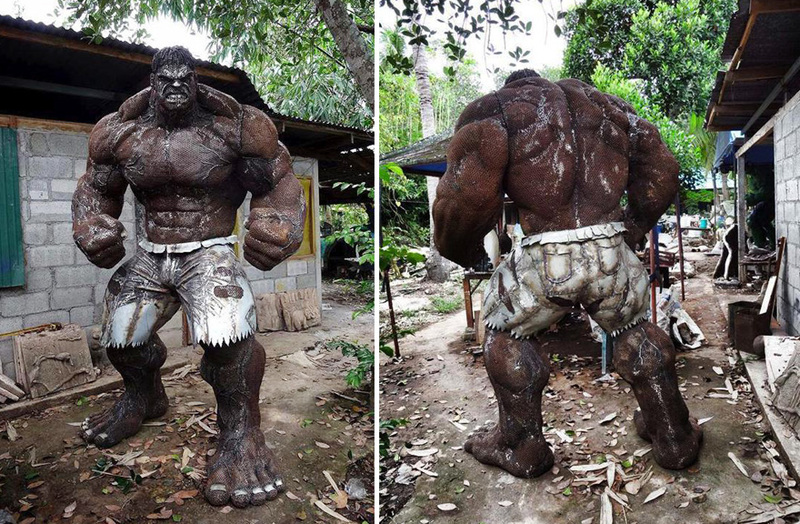 Finally, for the ultimate in upcycling, there is scrap metal and yard art. 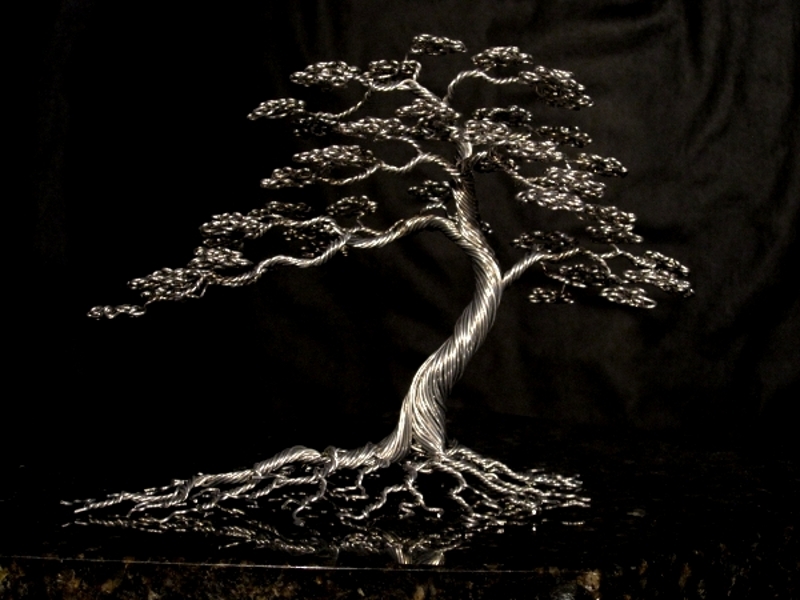 Examples of scrap metal art range from the simple to the stunning. They can be found at flea markets, farmers markets, and craft shows throughout the world. This is the type of project almost anyone can do using supplies found in typical kindergarten classrooms, like repurposing aluminum cans to make bird feeders, lanterns, and toys. But not all scrap metal art is so basic. 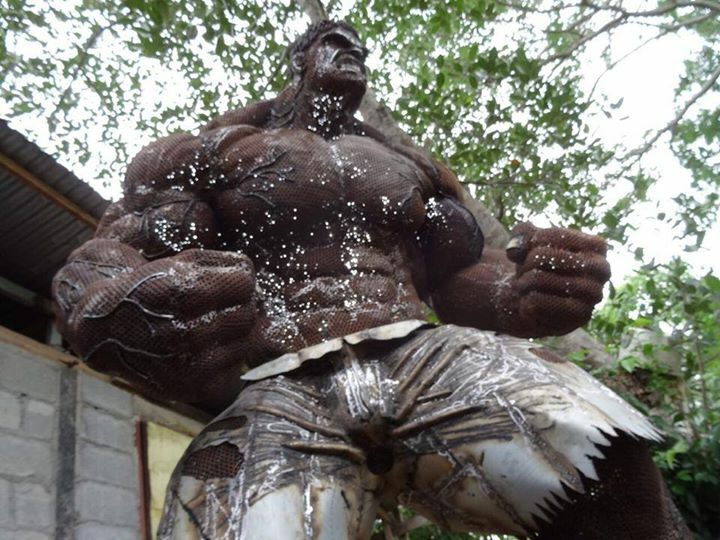 A studio in Thailand called BanHunLek shapes and welds scrap metal scavenged from junk yards – particularly defunct automobiles – to create models that would make any comic book or science-fiction geek drool. 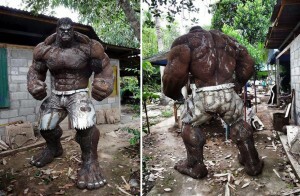 His work includes models of everything from Disney characters to characters from the Terminator, Predator, and Alien movies. 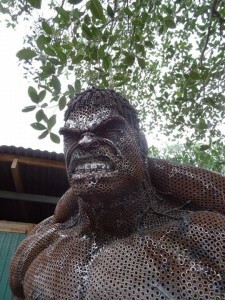 One of his most impressive, however, is this Hulk, which virtually ripples with power. Of course, Steiner Metalworking Solutions is a bit different than the art above, but not as much as you might think. Precision is still a necessity. Efficiency is key. Increasing productivity is essential. From abrasives to sawing solutions to precision instruments, our Metalworking and Industrial Supplies Division is awaiting your call!